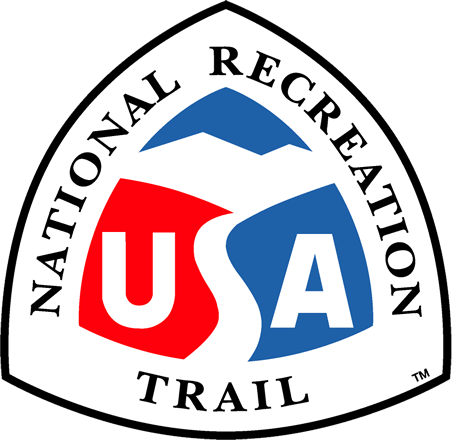 The North Bay Trail is a multi-use recreational path that runs along the spectacular waterfront of St. Petersburg, Florida. It begins at the end of the Downtown Trail, an extension of the renowned Pinellas Trail and continues north along the City's marina district. It takes users through Vinoy Park, home to some of St. Petersburg's biggest special events. Further north, the North Bay Trail continues alongside scenic Coffee Pot Bayou then continues to Rio Vista Park. 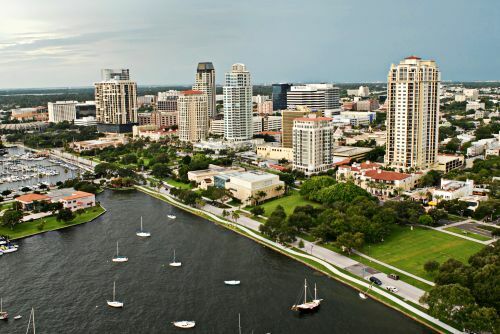 The North Bay Trail is a multi-use recreational path that runs along the spectacular waterfront of St. Petersburg. It begins at the end of the Downtown Trail, an extension of the renowned Pinellas Trail, at Demens Landing and continues to the north along the City's marina district, adjacent to Straub Park, and past the historic Vinoy Hotel. 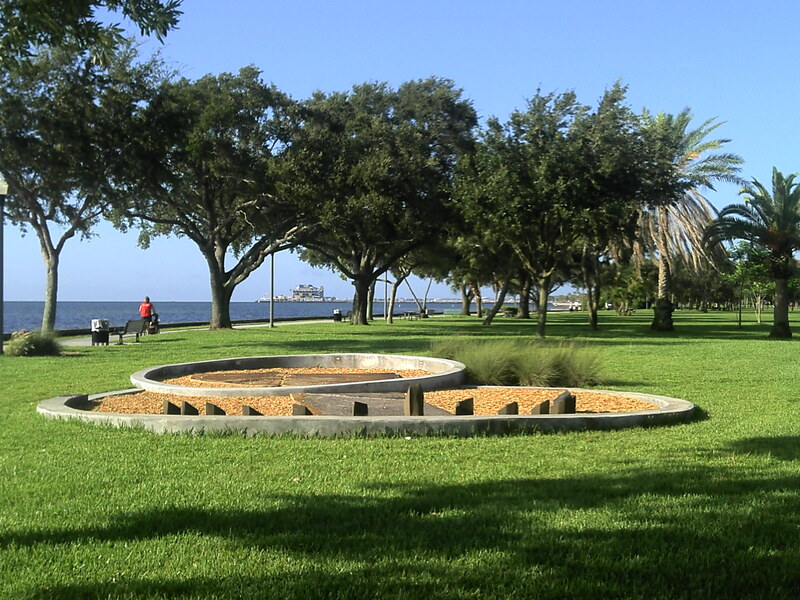 The North Bay Trail takes users through Vinoy Park, home to some of St. Petersburg's biggest, most popular events such as the Festival of States, Taste of Pinellas, Independence Day Celebration and RibFest. In this section of the North Bay Trail, users can easily access all of the wonderful dining, shopping, and museums that downtown St. Petersburg has to offer. Fitness opportunities abound in this section of the North Bay Trail. St. Petersburg's premier aquatic center, the North Shore Pool is located immediately adjacent to the trail. In addition to the competition-quality pool, there's a small beach with a launch facility for paddle sporting. Fishing is also a very popular activity along this section of North Bay Trail. At the north end of the waterfront parks section, trail users can visit the Centennial Sundial located at Vista Point. The interactive granite sundial pays homage to an original sundial that was located in this area, yet removed decades ago. The Centennial Sundial was built in November 2010 in time for the Centennial celebration of St. Petersburg's waterfront parks system. Continuing to the north, the North Bay Trail continues alongside scenic Coffee Pot Bayou. The Bayou is known for its manatees that feed in the shallow waters there. It continues to Coffee Pot Park. The park, owned and operated by the city, features a boat ramp with paddle sporting wash facilities, a playground, sheltered picnic tables, and bicycle parking as well as public parking for motor vehicles. Mangrove Bay, a par-72, Championship golf course located on 180 beautifully maintained acres, was recently ranked as a three-star course in Golf Digest's "Best Places to Play". The present terminus of the North Bay Trail is at Rio Vista Park, a passive park with a paddle sport launch facility currently under development. An extension of the North Bay Trail to the Gandy Boulevard area, the County's planned Progress Energy Trail, and Weedon Island Preserve is also planned in the years ahead.